One amazing present is better than a thousand good ones….Like many others, I’m stranded in London due to severe weather conditions and I’m really upset by the fact that I might not be able to spend this Christmas with my family for the very first time in my entire life!!!!! Thanks to the poor service provided by Thai Airways, making no effort in order to help us to get to Sydney… So, I’ve had time enough to think which presents I wanted this Christmas…and all I could think of was about this Proenza Schouler bag coming into my life wrapped in a big box! This gorgeous, elegant, simple and practical leather bag represents all I ever look when I think about purchasing a handbag… hope Santa is good with me this year!! Si esta en marron, me pido otro. oohh, i hope everything will be allright and you’ll get to your family to spend Xmas with them! fingers crossed! ohh I wish I was stranded in London this time of the year, we get no snow in Brasil for X-mas, or ever!! That would be the perfect christmas gift! quiero otro para mi tb!!! me encanta tu blog, tus looks… genial! un besazo! Eso si, buen gusto te sobra. Espero que puedas estar con tu familia. FELIZ NAVIDAD. La verdad es que es una pasada.. qué precio tiene?? estaba pensando en cogerme uno de Miu Miu.. pero quizá daría más uso a uno de este estilo! love this bag! so so much. ¿ por qué escribes todo en inglés? I waited 14 HOURS in gatwick airport but finally I could get back home…it was horrible on sunday at the airport!! my very best wishes for the new year!! you can study/ your studied at CSM. you live in expensive london. you travel the world from sydney to ny. you have expensive and great clothes. tution fees or to pay something to eat or have no clothes. Isn’t your family in Galicia? or you mean your friends in Australia? Seguro que si te has portado bien, Papá Noel te lo trae! What a gorgeous bag!!! That’s a really good choice. Gala, mucha suerte, espero de verdad que puedas encontrar un vuelo que te lleve a casa. Estas fechas sin la familia y los amigos de toda la vida son la mejor de las medicinas para recargar las pilas xa el prox. año! Yo vivo en Francia, y muchos vuelos se cancelaban tmb gracias a que el mío no y ara estoy en casita. BTW, el bolso es tó bonico! Estupendo xa afrontar el nuevo año! I hope you arrive in time! You chose the perfect time to come here, hopefully the weather picks up soon. 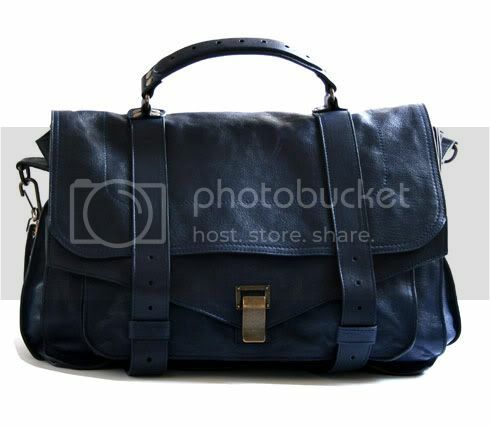 <3 Im so in Love with this bag..
Merry Christmas and I hope you can finally get a plane and arrive in time! Yes,this bag is surely the best thing on any wish list! Merry Christmas and many bags to come ! I dream of this bag often! Me encanta el bolso de Proenza Schouler… yo por navidad tambien me he pedido un bolso:el city de Balenciaga.Me lo pido todas las navidades. Haber si este año porfin cae!!! WOW ! This bag is perfect ! Navy blue, it’s change from black ! It’s better !